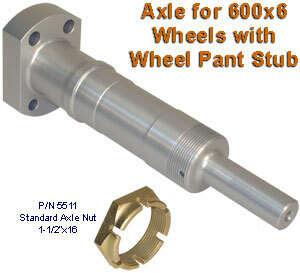 Axle has built-in wheel pant stub with 1/4-28 thread. Static Load Rating 1,750 lbs. 61-1 and Cleveland 600x6 wheels.